A Clean Uncluttered Inbox that helps you Get The Right Work Done… and Organized More Findable Emails… without changing the way you work. 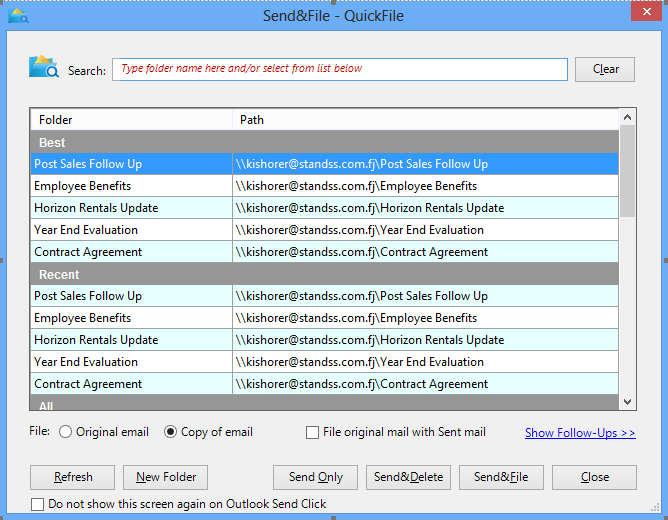 QuickFile's new and completely rewritten recommendation engine learns and shows you where to file emails. 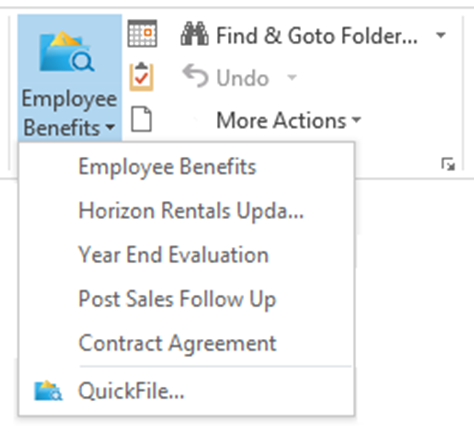 QuickFile prompts you when you click Send so you don't need to go back to the Sent Items folder later. The email is automatically filed after it is sent. 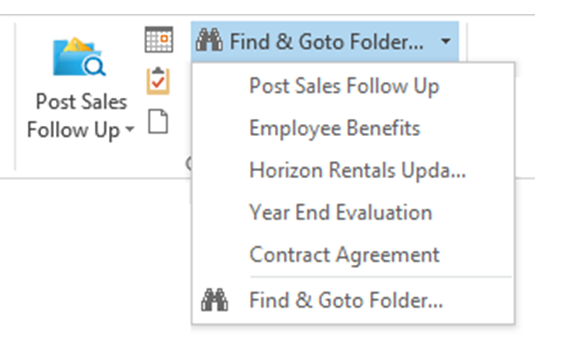 You don’t need to scroll through a big list of folders looking for the one you need. 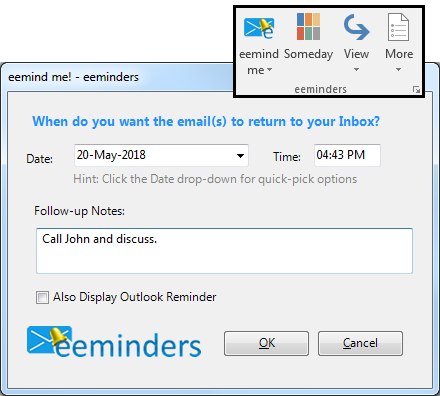 Type a few characters from the name and QuickFile shows you all matching folders..
Use eeminders to move emails out of your Inbox and have them automatically return at the actual date and time you want to work on them. You can even add notes to the emails to remind yourself of the action you want to take. Do you need to to ensure that the appropriate action was taken on an email that you sent? 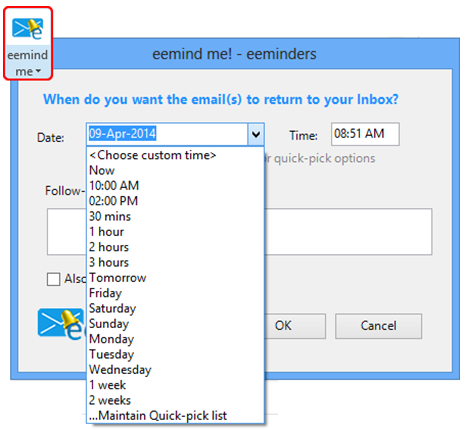 eeminders can remind you to follow up by returning the email to your Inbox at your chosen time. 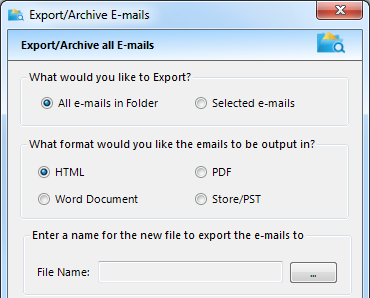 Export selected emails or all emails from a folder into an indexed PDF, Word or HTML document. 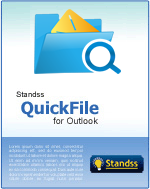 QuickFile can also create a separate PST file for your emails.